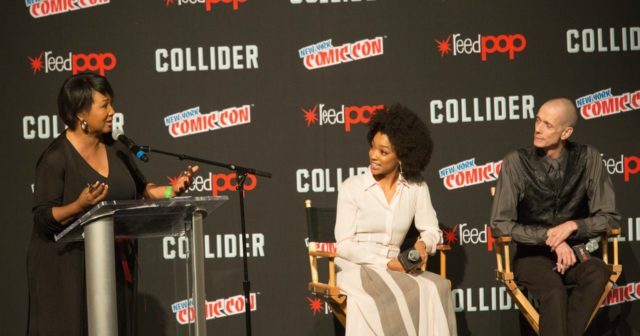 (l-r): Moderator, Dr. Mae Jemison; Sonequa Martin-Green; Doug Jones during the New York Comic-Con 2017 panel for STAR TREK: DISCOVERY held at Madison Square Garden Theatre on Saturday, October 7th. Ca. Photo Cr: Lisette M. Azar/CBS ÃÂ© 2017 CBS Interactive. All Rights Reserved.